Family dynasties are a grand tradition in Hollywood. Below are a list of clans of famous actors, directors, writers, and producers who were related to each other. The criteria for this list is how much talent the combined members of the family had and how many generations the dynasty spanned. Rather than go with the Kirk/Michael combo or the Judy/Vincente/Liza triumvate, I’ll start with something a little more current. Jason Reitman, the talented writer/director of poignant comic films as diverse as Thank You for Smoking, Juno and now Young Adult, followed in the foot steps of father Ivan Reitman who’s film credits include Ghostbusters, Meatballs, Twins as well as production credits on Space Jam and Kindergarten Cop. Any bitterness was erased by the fact that Jason got his father nominated as well with a co-producing credit on Up in the Air. In addition, Jason’s sister Catherine is a budding actress. 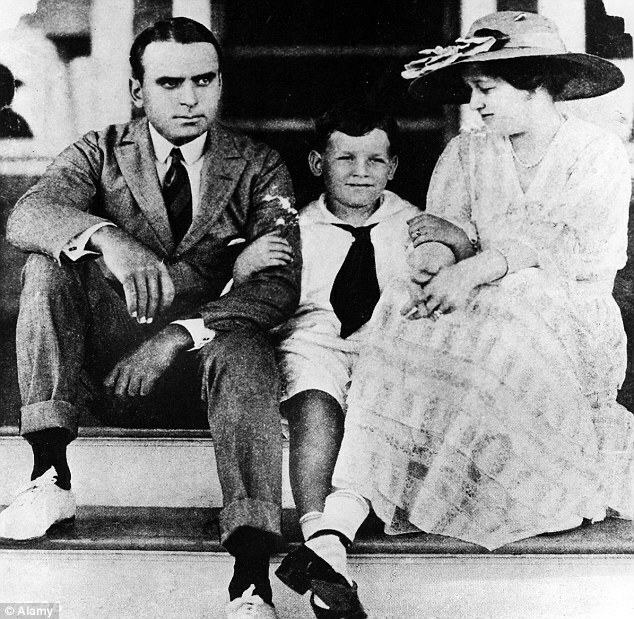 Members: Douglas Fairbanks, Mary Pickford, son Douglas Jr. This dynasty begins with the two of the three people (Charlie Chaplin would be the third) who are arguably most responsible for inventing the concept of movie stardom. It doesn’t rank very high, however, because it fizzles out after a generation. Swashbuckler Douglas Fairbanks and America’s first sweetheart Mary Pickford were Hollywood’s first It couple when they fell and love and married. They later divorced but not before being half of the team of the founders behind United Artists Studios. The studio was co-founded with silent comedian Charlie Chaplin and director D.W. Griffith because the four of them had gotten so popular and successful that no one could pay their salaries. Fairbanks’ son through another marriage, Douglas Fairbanks Jr., was a gifted and athletic actor also suited for action films and starred in Gunga Din and Sinbad the Sailor. He later married screen star Joan Crawford (at the tender age of 20) which might have continued this dynasty into a three-generation machine except for the fact that within a year Crawford caught the eye of Clark Gable and left Douglas Jr. Douglas had three daughters with his second wife, none of whom had any imdb credits. Neither Curtis nor Leigh was a child of Hollywood royalty as they both came from working class backgrounds. Curtis had the fortune of growing up in New York City where he enrolled in acting courses following his service in the Navy while Leigh was discovered by Norma Shearer at a ski resort where her dad worked. 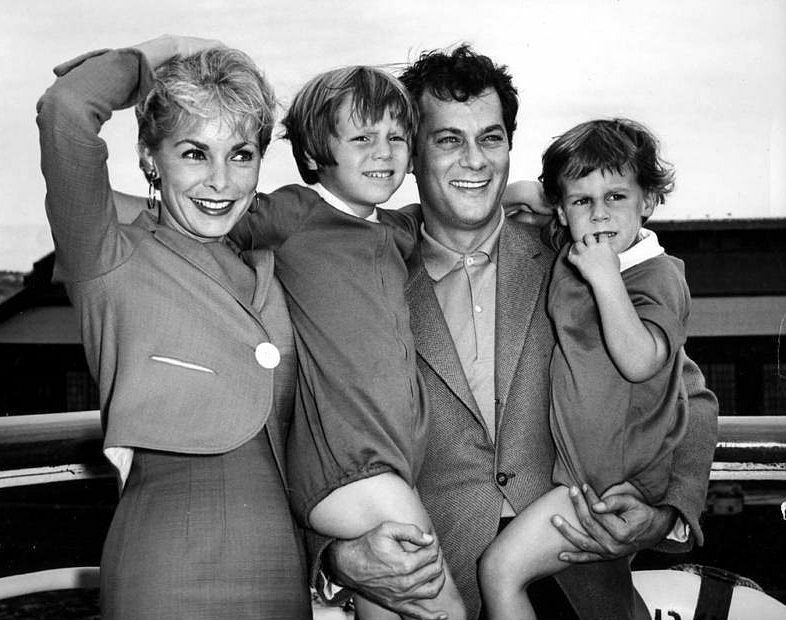 Nonetheless, their marriage was one of Hollywood royalty and while the intensity of the spotlight led to the crumbling of their marriage, they produced a very special daughter who would later become a star in the form of Jamie Lee Curtis. Also joining forces with this clan is Jamie Lee Curtis’ husband Christopher Guest. Guest, a former SNL cast member, is writer and director of the popular mockumentaries Best in Show and A Mighty Wind. Jamie Lee’s sister Kelly landed the role of “Muffy” in the film Trading Places. She retired from acting in 1999 and became Jamie Lee’s assistant on set. Everyone knows Alan Ladd is best-known as the heroic gunslinger in Shane. Fewer people know his other indirect contribution to film by having a son who would go on to be one of the most unsung heroes in Hollywood history. Starting his career as a Hollywood agent, Ladd went on to become head of creative affairs and eventually president of Fox studios. He’s the person responsible for green lighting George Lucas’ Star Wars when no one else would. He also was behind other commercial smash hits as Alien, The Towering Inferno, The Rocky Horror Picture Show, Breaking Away, and All That Jazz. He also gave director Ron Howard his start. As far whether the Ladd Dynasty goes beyond Alan and Alan Jr., three of Alan Jr.’s four children have credits on imdb with daughter Kelliann having producer’s credits on three films. Joseph Mankiewicz was a two-time Oscar winning writer and director. His film All About Eve is one of the greatest satires Hollywood has ever made. His brother Herman Mankiewicz was a top-tier screenwriter highlighted by a co-writing credit on Citizen Kane with Orson Welles. This is a very interesting distinction in Hollywood history because a) Citizen Kane routinely tops polls as the best film ever made 2) Orson Welles was nominated for Oscars in acting and directing as well but writing was the only Oscar he ever won AND 3) Some sources claim that Orson Welles didn’t write the script at all but delegated it all to Mankiewicz. With the exception of Joseph’s son Tom who directed some TV films and wrote a couple scripts in the James Bond series, none of the Mankewicz brothers’ offspring continued their reputation as great filmmakers of films. 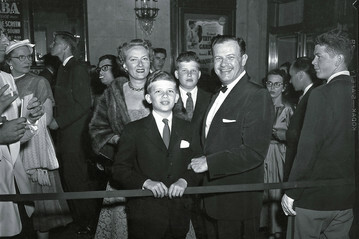 However, Herman’s grandson Ben is one of the faces most associated with classic film as one of the two permanent hosts of Turner Classic Movies. The Mankewicz family is also home to a number of political luminaries with Ben’s father being a speechwriter for the Kennedy administration. This dynasty begins with Sir Michael Redgrave who became one of Britain’s premiere stage and screen actors in the 1940’s. His two daughters, Vanessa and Lynn, followed in their fathers’ footsteps and both have had even more successful careers. Both actresses broke out with Academy Award nominations for best actress in the same year: In 1966, Lynn was nominated as the titular character in Georgy Girl while Vanessa was nominated in A Man for All Seasons. Since then, the two sisters have had incredibly lengthy careers that has earned them ranks within the British empire (Vanessa is a Commander of the British Empire while Lynn was awarded an Officer of the British Empire). Lynn passed away last year (her last film was the acclaimed My Dog Tulip) while Vanessa stands to earn her 7th Oscar nomination for her role in Corlianis. Vanessa was married to Oscar-winning Director Tony Richardson for five years (a bisexual, he died of AIDS in 1991), and their union produced stage and screen star Natasha Richardson who tragically died in a skiing accident in 2009. The Hustons are one of two families to win Oscars among three generations. 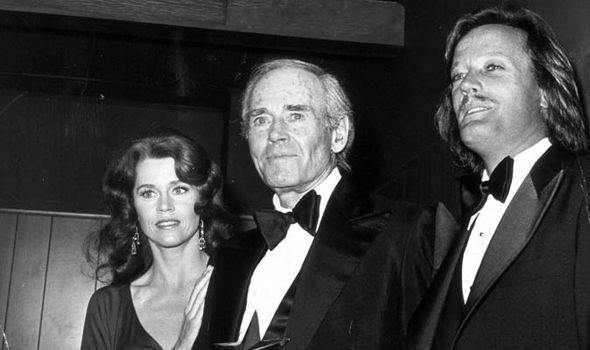 Writer and director Walter Huston directed both father, Walter, and daughter, Anjelica to Oscars in Treasure of the Sierra Madre (1948) and Prizzi’s Honor (1985) respectively. Walter Huston was a character actor who disappeared into roles. In contrast, John was a Hollywood personality so outlandish Clint Eastwood made the movie White Hunter, Black Heart based on his larger-than-life exploits. In addition to being a director, John was a painter, boxer, cavalry officer in the Mexican army, gamesman, writer, explorer, and couldn’t resist an occasional acting role on screen. His daughter Anjelica is best known to popular audiences in the role of “Morticia” from The Addams Family movies and son Danny Huston has acted in films such as The Constant Gardener and X-Men Origins: Wolverine. The other of two families to win Oscars through three generations, the Coppolas have a very high success rate per family member. Frances’s father, Carmine, was the principal flutist for the NBC Symphony Orchestra when it was conducted by the legendary Arturo Toscanini in the 1940’s and 1950’s. Carmine would go on to write music for 16 films including his son’s Oscar-winning masterpiece The Godfather: Part II, which would win him an Oscar for the score. Francis’s daughter Sofia, whose biggest acting role was her father’s third installment of her father’s Godfather trilogy, followed in her father’s footsteps of filmmaking and won a screenwriting Oscar for Lost in Translation (2003). The family has had success in nearly every branch of the tree with Francis’s sister, Talia, becoming a great actor and Talia’s son Jason Schwartzman following along the same path. One family member who wanted to make it big but not rely on the family name was nephew Nicholas Kim Coppola who changed his name early in his career to Nicolas Cage (borrowing from comic book character “Luke Cage”). Considered the first family of Hollywood for good reason. Bubbly starlet Drew Barrymore’s grandfather John (nicknamed “The Great Profile” for his matinee good looks) and siblings Ethel and Lionel were three of Hollywood’s highest paid stars from their arrival in Hollywood in 1914 through the 1940’s. What most people might not be aware of isthat the Barrymore clan’s history of performing goes all the way back to the mid-1800’s on the stage when the parents of John, Lionel, and Ethel were both stage stars. Ironically, their mother was named Georgie Drew which is where Drew’s first name came from. As to whether the acting bug skipped a generation, it didn’t entirely. Drew’s father John Drew acted in various film and television projects and his sister Diana did the same but neither succeeded and Diana died of a drug overdose at the age of 38. Steering Drew on the right path was godfather Steven Spielberg who gave her a leading role in E.T. Through roles in films such as Grapes of Wrath, Young Mr. Lincoln, and 12 Angry Men, My Darling Clementine, Henry not only established himself as one of the most iconic actor of his day but established a screen persona that made him synonymous with the upright good guy. Ironically, children Peter and Jane had great acting careers but in a different mold. Peter wrote and produced the seminal counter-culture film Easy Rider (1969) which ushered in an edgier era of filmmaking. 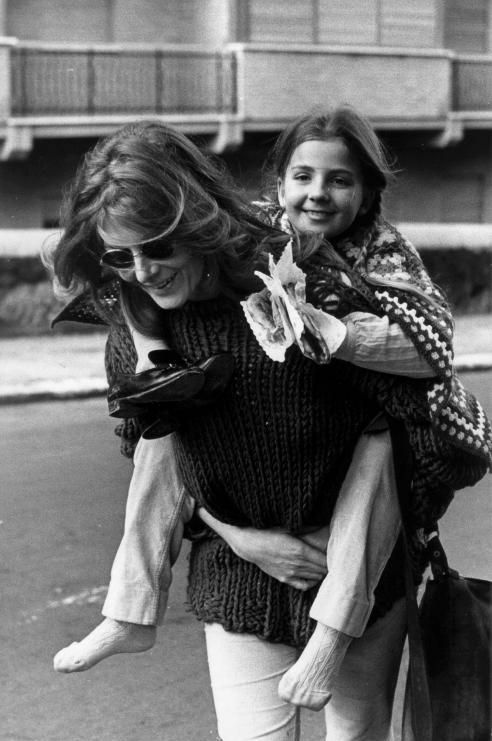 Jane became one of the premiere actors of her generation with seven Oscar nominations and two Oscar wins and became a counter-culture spokeswoman with her role in subversive films like Coming Home and China Syndrome and her controversial two-week tour of North Vietnam (which got her the nickname “Hanoi Jane”). Despite tension from differing political viewpoints, the Fondas have always remained close and Jane’s recounted several times that making On Golden Pond with her father in 1981 (his last film and therole that won him an Oscar) was one of her most special filmmaking experiences ever. Peter’s daughter Bridget also has a modest acting career. You’re kidding me. Nicolas Cage was a Coppola. Learn something new everyday. great list! finding out that nicholas cage, jason schwartzman and frances ford coppola are related was mind blowing! I think you can add Cheryl Ladd to the Ladd in-law list. I think her ex-husband was David Ladd. And I know her daughter Jordan Ladd is also an actress. Mariska Hargitay of Law & Order SVU fame. Her mother was Jayne Mansfield, her father was Mickey Hargitay, the Hungarian Bodybuilder. Also, Judy Garland and Vincent Minnelli and their daughter Liza Minnelli. The woes of Ryan O’Neal and his deceased significant other Farrah Fawcett and Ryan’s daughter, Tatum and son Griffin. Though being a rock music singer, Steven Tyler (singer for Aerosmith) and his daughters actress Liv Tyler (of “Lord Of The Rings” fame) and Mia Tyler (a very much sought after “Plus” size model). Kirk Douglas and his son Michael and Michael’s son (I cannot think of his first name). The Baldwin’s (Alec, Daniel, Steven, Billy) and Alec’s ex-wife Kim Basinger. I did throw a bone to the Minellis and Douglases in the opening entry. The Baldwins aren’t yet vertical. Hello Orrin. Sorry for my overlooking your inclusion on your list. Its just me getting carried away.There is an interesting story that I am reading on the Wikipedia that might interest you if you haven’t already have not heard about it. Its this so-called “curse” called the “27 Club”. Its all about popular or famous musicians that died at the age of 27 and its not just limited to rock musicians as a classical music composer is on the list and ones that I never realized who died at that age. It also gives the official cause of death and some of them are very strange. Thank You again for correcting me. Very good list, some families I’ve never heard of or at least was aware of. I would like to add to the list; The Baldwins, The Esteves (or Sheens, whichever you prefer), the Douglas’s , and lastly, the Bridges. Maybe they don’t count as dynasties specifically, but they are all acting families. I mean, you did list the Curtis’s. Still, all in all, good list. What about the Carradine’s? There are a few generations of actors there. The Huston’s. John and his daughter Anjelica. My friend just told me a nice place — T’ a” ll m’ i n ‘g ‘l’ e. c ‘o ‘M ‘– it’s the most effective site in the world to connect with, date and marry tall, and big people.. It’s worthy a try. Though this does not pertain to Hollywood and back even before Hollywood was introduced to the world, before TV, film, and radio as well. When acting on stage was the only source of entertainment, but how about the Booth Family. John Wilkes Booth and his brother Edwin. Of course we all know the crime that the first name mentioned did. So, you’ll show a pic of Jane Fonda’s son, Troy Garity, who is an actor with a “modest” career — but not mention him in the story? Sorry, I was completely unaware of his existence. The pictures are added in later by the editors. You forgot a Huston. Jack Huston who among other roles plays Richard Harrow in Boardwalk Empire. Also you forgot ALOT of husbands. For instance Bridget Fonda’s husband is Danny Elfman. Tom Green is the ex grandson in law of John Barrymore. You forgot a Richardson, eventhough you pictured her. Joely Richardson is a good actress in her own right. I was going to say the same thing as mastermama. Joely Richardson was in Anonymous, The Patriot, Return to Me, 101 Dalmations, and a slew of others. Where is the Wayans Family? The Arquettes, Culkins & Barrymores should be on this list.